If a server in your SIOS Protection Suite cluster experiences a failure that causes re-installation of the operating system (and thus SIOS Protection Suite), you will have to re-extend the resource hierarchies from each server in the cluster. 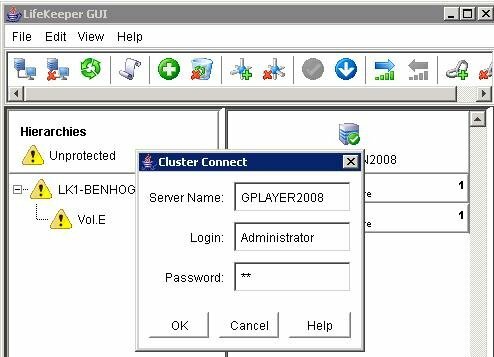 If a server in the cluster has a shared equivalency relationship with the re-installed server, however, SIOS Protection Suite will not allow you to extend the existing resource hierarchy to the re-installed server. SIOS Protection Suite will also not allow you to unextend the hierarchy from the re-installed server because the hierarchy does not really exist on the server that was re-installed. On each server where the resource hierarchies are configured, use the eqv_list command to obtain a list of all the shared equivalencies. This function prints strings to standard output describing equivalency relationships between resource instances. 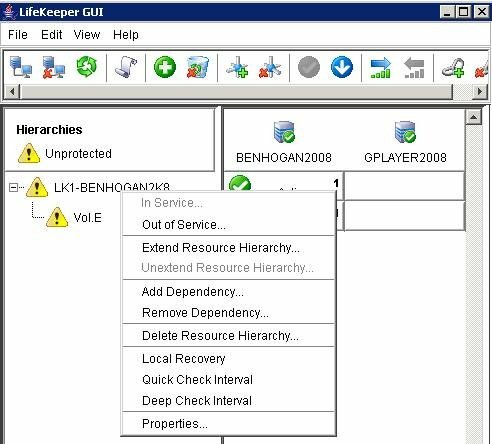 See LifeKeeper GUI below of hierarchies, resources, etc. On each server where the resource hierarchies are configured, use eqv_remove to manually remove the equivalency relationship for each resource in the hierarchy. This function removes equivalency from the configuration database on system destsys (local if not specified) of equivalency type, specified by the -e option, between the resources tag and othertag existing on systems sys and othersys respectively. Execute the eqv_list command again. There should be “no” list of shared equivalencies, etc. If there are any DataKeeper mirrored volumes configured in your cluster, clean up the LKDRInfo file for that volume. SIOS Protection Suite will create an LKDRInfo.<volume> file in the folder %LKROOT%\subsys\filesys\resources\volume for each mirrored volume resource. This file should be deleted. 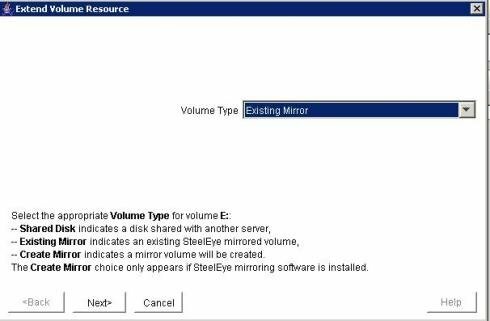 If there are any DataKeeper mirrored volumes configured in your cluster, clean up the mirror and delete the DataKeeper job that contains that mirror. DataKeeper mirrors and jobs must be recreated when the cluster is re-extended to the reinstalled server. Therefore, the local end of any mirrors that are configured must be deleted and any jobs that are configured with those mirrors must be deleted. Repeat these steps for all mirrored volumes. The job must be deleted from the registry directly; attempting to delete the job using “emcmd . deletejob” will fail because DataKeeper tries to delete the job on all nodes. This will not work since one of the nodes no longer exists and the job will be left intact. You are now ready to remove the old system. b. Remove all old targets/systems. This function checks to see if the SIOS Protection Suite resource hierarchy configuration and communication path status data stored in shared memory has been modified. If it is different, the data is “synchronously” written to disk. Therefore, when this program returns, the data is guaranteed to be on disk properly. Close the LifeKeeper GUI and reopen. 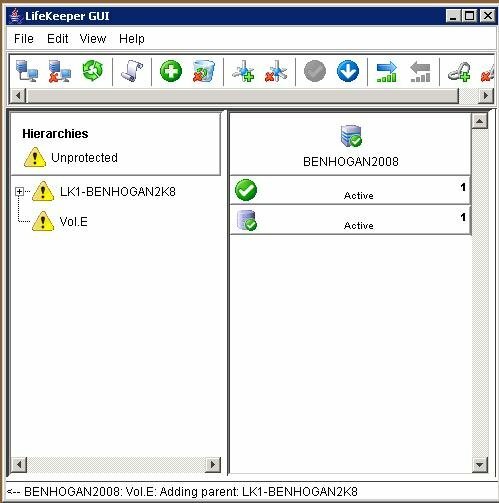 Extend each resource hierarchy from the server where the resource hierarchy is in service to the re-installed server using the GUI. a. Connect to your reinstalled server/target. Note: This may also require a re-creation of the comm paths. Complete — All protected resources have been recovered and are protected once again.